Great doctor, very good bedside manner, answers all of your questions and listens very carefully to ensure he gets to theroot cause of the issue. I will definitely be going back! Great doctor, very good bedside manner, answers all of your questions and listens very carefully to ensure he gets to the root cause of the issue. I will definitely be goingback! THE WORST VISIT EVER! I brought my X rays with me and the whole history of my treatments and told himabout my toe pain in details. He listened to me and confidently said: “I DONT KNOW WHAT IS WRONG WITH YOUR FOOT AND TOE”!!! That was his whole diagnosis! He didn’t even offer any treatment! A waste of time and money! Very very disappointed!!! Stay away! THE WORST VISIT EVER! I brought my X rays with me and the whole history of my treatments and told him about my toe pain in details. He listened to meand confidently said: “I DONT KNOW WHAT IS WRONG WITH YOUR FOOT AND TOE”!!! That was his whole diagnosis! He didn’t even offer any treatment! A waste of time and money! Very very disappointed!!! Stay away! Dr. Sandhu is a board certified, fellowship-trained, foot and ankle surgeon. He joined the Precision Orthopedics & Sports Medicine (formerly Irving Orthopedics) team in 2014. While treating patients of all ages and a wide variety of foot and ankle disorders, he specializes in trauma and adult reconstructive surgery. Dr. Sandhu stays current with, and utilizes the latest advancements in foot and ankle surgery to help relieve your pain and get you back to your active lifestyle. Dr. Sandhu is proud to offer a variety of foot and ankle braces and supportive devices to help you walk out of our office with less pain and provide fast relief. Particularly interested in the treatment of ankle ligament sprains, Dr. Sandhu has developed a new surgical technique which has helped many patients get back to sports and activities much faster than traditional surgeries. Dr. Sandhu is a member of the teaching faculty for the Podiatric Residency Program at Hunt Regional Medical Center. He is regularly invited to both local and national meetings to lecture on various topics of advanced foot and ankle surgery. He is also active in research and his work has been published in peer reviewed professional journals. 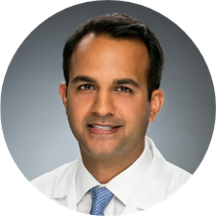 Dr. Sandhu is a Diplomate of the American Board of Foot and Ankle Surgery, a Fellow of the American College of Foot & Ankle Surgeons, a member of the Texas Podiatric Medical Association, and American Podiatric Medical Association. Away from work, he enjoys spending time with family, golfing, and traveling. Dr. Sandhu is great! I truly appreciated the speedy visit, so I thought. Everything was copacetic until I was blinded by a “closedtreatment” bill by his office. Apparently, the (diagnosis) of my fractured toe was additional money and was notincluded in my specialty office copay. Please ask questions about hidden fees before leaving this office! This office codes diagnosis as closedtreatments. Not cool. Great appointment - he’s quick and to the point. He helped me feel better about an pain issue I was having with my foot but also took the time to ask me questions and make sure my foot was really okay. This was my 4th visit counting surgery. My recovery has been much faster than I expected and much less painful. Dr. Sandhu is very humble and takes very little credit for results but he and his staff have played a hugepart in me beginning to walk today unassisted when my first doctor said walking anytime soon was a long shot. I was very happy to see Dr Sandhu! He is a good doctor! Very professional! Excellent bedside manner. Very personable. The doctor was good and very informative but, I never received a call back regarding my x-rays and my pain meds were never called in to the pharmacy. My calls were never return from his assistant. I had left several messages. excelent got all my questions answered him and the staff were great ?? Dr Sandhu started by introducing himself and was truly interested in addressing all of my concerns. My injury is sports related and I feel that he helped me navigate my treatment options with my personal goals in mind. I was fittedwith a boot by the DME team prior to leaving the office and Dr Sandhu came back to the room to ensure I was completely comfortable and even helped me to set expectations for level of pain and activity as I heal. This was my first visit to Dr. Sandhu and I would absolutely recommend him to friends or family. Excellent and very professional services from everyone. Dr. Sandhu is an amazing professional. He is caring and understanding. I fractured my ankle’s bone and in one of my worst days of pain he was able to keep me calm and take care of the problem. He is great and his staff is wonderful! The whole office staff is great front and and doctors staff are wonderful!!!! He took time to answer all of my questions! I saw Dr. Sandhu for second opinion. I had previously been seeing another orthopedic surgeon in Irving but did not feel like he was taking my condition seriously. I felt real comfortable with Dr. Sandhu evaluation and recommendations for Rx. Great bedside manner. Very friendly and compassionate. Seemed to genuinely care about my condition and didn't make me feel rushed. I love that. Professional and knowledgeable. Would definitely recommend. Loved it, he was very congenial and helpful. Great Scheduled treatment same day ?? Extremely knowledgeable and open about issue and treatment options. Wonderful communication skills and very caring. FIRST CLASS ?? Dr. Jaytinder Sandhu was very professional and very knowledgeable. I felt better about my upcoming surgery after speaking with Dr. Sandhu. Staff is very nice each and every time in person and over the phone ! I look forward to my appointments. I would highly recommend this doctor. He was extremely knowledgeable and very kind. Dr, Jay is awesome! Very kind, compassionate, and concerned. I first saw him in 2015 and I will continue to use him each time I need to!